In Interval Weight Loss Dr Fuller explained we all have a set weight at which our bodies feel most comfortable, and those who go on fad diets often end up regaining the kilos they've lost - hence the expression 'battle of the bulge'. 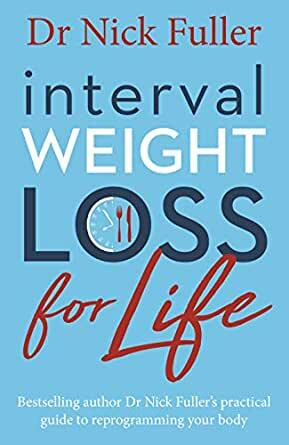 Filled with new nutritious recipes, and helpful, no-nonsense advice, Interval Weight Loss for Life provides you with the essential information that has enabled thousands of people to lose weight and keep it off. So, if you're feeling battle-weary and are about to give up, then put down the latest celebrity diet you're reading and arm yourself with this book. The battle of the bulge is almost over. I would have liked a more scientific fact-based explanation for the interval weight loss approach, and more detailed case studies directly quoting patients. 5.0 out of 5 starsThis book is scientifically backed by one of Australia’s top obesity researchers. A must read. This is an absolutely fanstastic book and I highly recommend it. I work as a general practitioner and I have already started implementing these principles to help my patients. It all makes so much sense once you read it and understand the biological principles that make fad dieting so futile. IWL is something that will help people struggling with their weight keep if off long term. I have also adopted this lifestyle for myself and my wife just finished reading it and loved it also. I bought this book after successfully losing 10 kgs after purchasing the first book in this series. This new book continues whee the last book left off, thoroughly explaining how our body tricks us in to re-gaining the weight we lose through dieting. 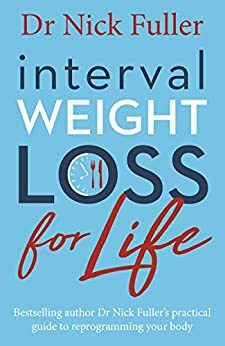 This book delves in to greater detail than the first and has some great tips for when the weight isn't coming off as it should. This is a great book which I highly recommend. 5.0 out of 5 starsA realistic lifestyle which only encouraged me to eat more. A common consequence of following diet plans is that we eventually feel overwhelmed by them and then give up. This plan on the other hand offered a lifestyle which was realistic and allowed me to enjoy my fav carbs! !